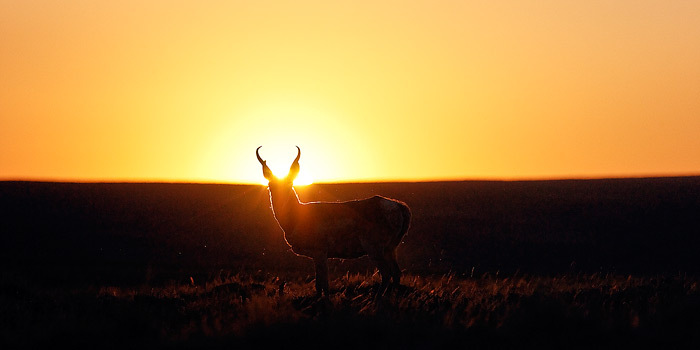 An antelope buck poses against the setting sun. Field Notes: Sony a900 camera, Sigma 100-300 f4 lens. Photo © copyright by Brett Deacon.